Sign up for Broadjam today to follow AnTheorem, and be notified when they upload new stuff or update their news! Imagen if you can, a new millennium, more eclectic Dream Theater; than incorporate some of the sweeter, more epic serenades of classic composers the likes of Bach and Beethoven; and finally follow this blend with a riff that can only be compared to those of extreme metal bands in the veign of Cannibal Corpse and Dimmu Borgir, then you will have a fraction of an idea what to expect from AnTheorem. 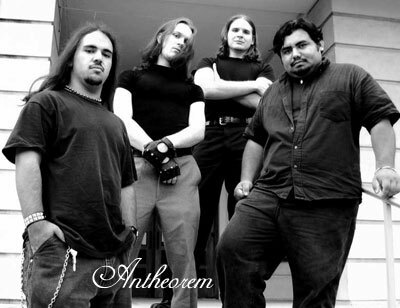 Officially formed Feb 26th 2002, AnTheorem has been making waves in Central Floridas underground music scene for over 2 years with a fresh approach to hybrid metal.